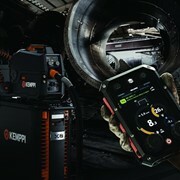 Kempact MIG 2520 and 2530 set a new ‘compact’ class for MIG/MAG welding machines from Kemppi. 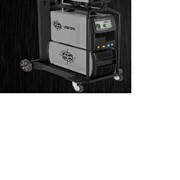 Lightweight, compact dimensions and ease of use positions the Kempacts as invaluable tools in thin sheet fabrication, motor vehicle repairs, general repair and maintenance, in shipyards or offshore, or anywhere where portability is as important as reliability and performance. 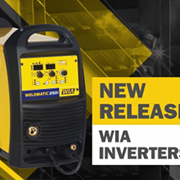 Based on the company’s most advanced inverter technology, the Kempact MIG 2520/2530 models provide excellent arc quality from compact, lightweight packages yet achieve a remarkably high duty cycle: 250 amps at 40%. 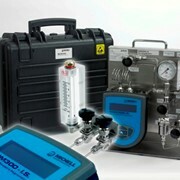 Kempact MIG 2520 and 2530 models are ideal for applications where portability is an essential consideration. 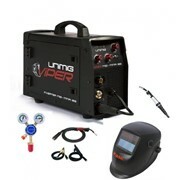 The mains voltage operation is 3 phase 400 Volt with a fuse delay of 16amps. 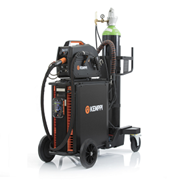 At just 17.5kg and 20kg respectively, the weight of these new MIG machines is only a quarter of comparative products, so the easy-to-move Kempacts are particularly well suited to repair, installation and supply work as well as light and medium duty in-shop use. 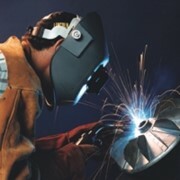 A three- or 4.5-metre Torch cable can be specified. 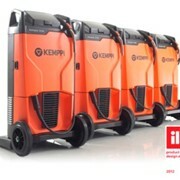 When designing the machine, Kemppi aimed to maximise simplicity and ease of use. 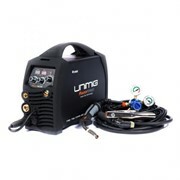 Therefore all welding values can be easily adjusted on the front-facing dials, and the machines are capable of working with a full range of materials. 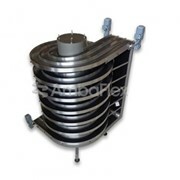 Wire diameters range between 0.6mm and 1.0mm for steel and stainless steel, 0.9mm and 1.2mm for flux cored wires and aluminium, and 0.8mm and 1.0mm for silicon bronze. 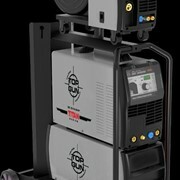 The 2520 will accommodate five kilos of wire, whilst the 2530 will take a massive 15 kg reel. 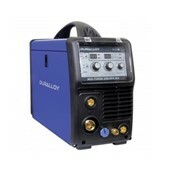 Changes can be made to polarity for gasless flux cored welding. 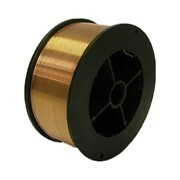 Wire inch with a safety speed makes the spool change easy and quick, with a lower safety risk. 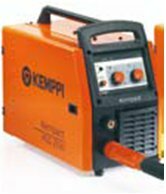 Kempact MIG machines are equipped with two-wheel wire drive mechanisms, providing smooth feeding with all wire materials: steel, stainless, aluminium and silicon bronze. 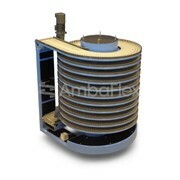 Wire feed is variable between one and 18 m/min. 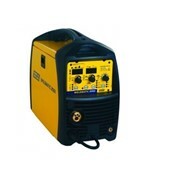 Excellent arc ignition is assisted by automatic end-pulse and automatic burn-back technology, and there is no need to cut the ball at the end of the wire before welding. 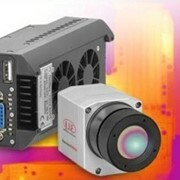 Electronic arc dynamic control offers optimum performance in all situations. 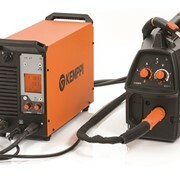 Kempact MIG inverter-based machines are equipped with stepless wire-feed speed and voltage control dials, so that users can optimise arc performance. 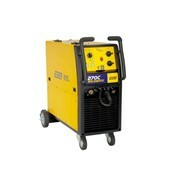 In addition, the units are also designed to be used with generators, further extending the fields of operation. 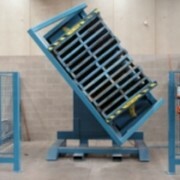 The two-wheel transport unit ST7 allows the Kempact MIG 2530 to be mounted away from the workshop floor. 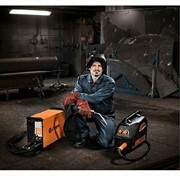 Kemppi MMT 25 and MMT 27 gas-cooled MIG guns are available in three metre or 4.5 metre lengths. MMT MIG guns can be equipped with Kemppi’s patented DL Teflon liner (Weldsnake) in order to maximise the welding quality with both aluminium and stainless steel wires.